Walgoo is a leading manufacturer of wall murals for both residential and commercial contract markets. We are committed to serve our customers with the best, unique and outstanding designs with the highest quality of digital print. We offer complete custom interior graphic designs with the lowest competitive rates. 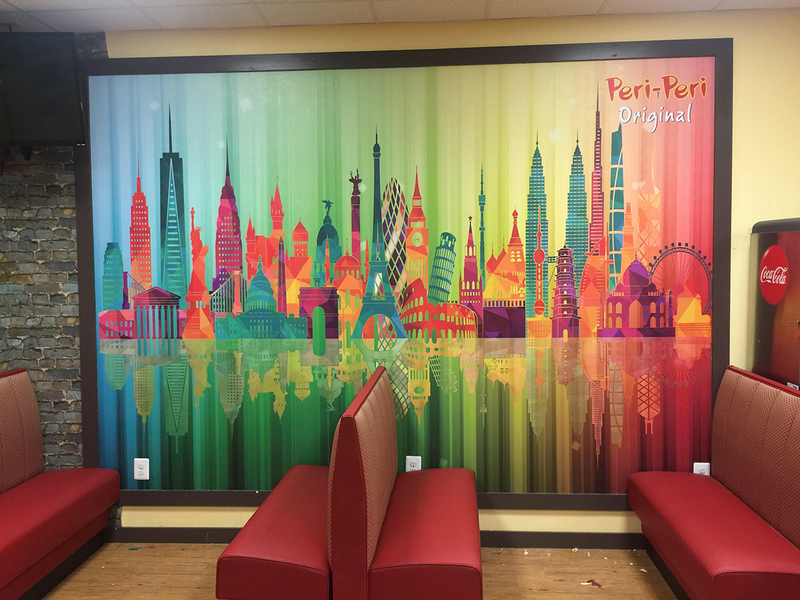 We strive to satisfy our customers with their creative needs and seek to inspire them to fall in love with their interior with our affordable and unique wall murals. Our wall murals has many benefits over the traditional wallpaper. Custom wall murals as you wish, for your environment. Easy to stick and peel wall murals. Easy to replace wrinkled spots over time. Easy to remove without damaging walls. Eco-Friendly and odorless latex ink. No special ventilation is required with HP Latex inks. HP latex Inks have no hazard warning labels, contain no Hazardous. HP Latex Inks allow print service providers to produce odorless prints for indoor display in sensitive environments such as hospitality and healthcare.